Today, Android OS has the highest market share among all other mobile operating systems like Symbian, Windows and iOS. Every second person owns an android device. Many of us don’t own an android device but always want to play those awesome games available for Android devices. Lets See the top 5 free Android Games which you can install and play on PC. Angry birds is a Video Game series developed by Rovio Entertainment. Angry Birds is a omni- popular game and is has extremely good ratings and reviews on Google Play Store. Because of its extreme popularity, versions of Angry Birds are being created for personal computers and desktops. You can find the given versions of Angry Birds on various websites for free downloads. Temple Run is an infinite sprint. There is no end to this game. You will die running but the endless run will never finish. You will be chased by evil jungle monkeys and if they succeed in catching you, your dream run will be over. You will also face obstacles like broken trees, dead ends and torched rings. You can earn as much coins as possible to unlock power-ups and players. 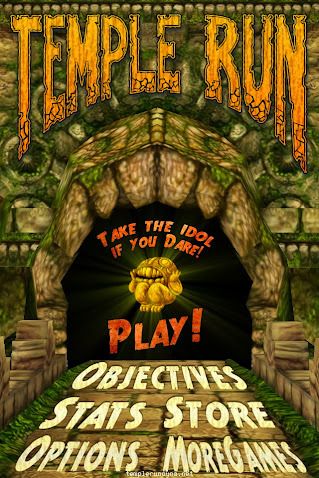 Temple Run is developed by Imangi studios and had more than 1 million downloads on Google Play Store in just 3 days. There are two major versions. Subway Surfers is another unending running game just like the Temple Run. Here you are chased by an angry policeman and his dog as you run for your life on railway tracks. You can collect and earn as many coins as possible just by jumping, dodging, running and prancing over the randomly incoming trains and other obstacles. By collecting more and more coins you can unlock different power-ups, skating boards and customized/specialized players. You actually surf on a skating board between train coaches Game on Surfers! There are many City versions of Subway Surfers,! Where’s My Water? is a mind boggling puzzle-type video game developed by Creature Feep and distributed by Disney. 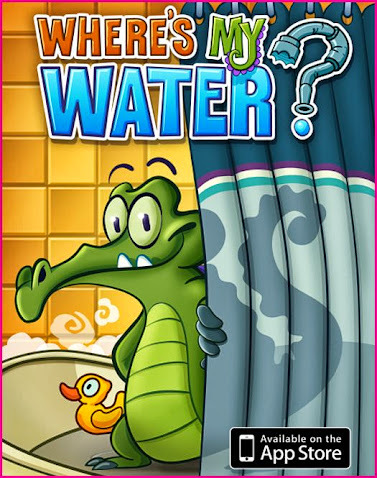 The main character of Where’s My Water is a Fastidious Alligator named Swampy. The objective of the game is to supply a stream of water to swampy using various objects like water, mud, coal, ice, slime, bombs, wind fans and many more. Subset levels like the lost levels, Allie’s Story, Cranky’s Story and the Mystery Duck were released time to time. This game has been appraised for its game-play and graphics. Highly polished and superb physics puzzle based. Note: Use BlueStacks App Player to enable Android applications and games to run on your Windows/Macintosh based PCs. What all you need to do is to download BlueStacks, open up the application and search for the App/Game you are looking for in the search box. Download the APK file of the Game/App and install it using BlueStacks. Else if you already have the APK File, you can just open the file through BlueStacks and it will be installed directly. These were the top 6 Android Games you can play on your Windows/Macintosh PCs. Happy Gaming!